Port Moody, BC, Canada (City of Arts) is an urban community comprised of a commercial district, a light industrial area, an active art scene. Port Moody, with Port Coquitlam and Coquitlam, together form the Tri- Cities area of Metro Vancouver (Greater Vancouver Regional District). The Metro Vancouver community sits in a protected harbour (Port Moody Inlet) situated on the eastern tip of Burrard Inlet on the doorstep of a fjord called Indian Arm. There are over 41 streams which past through Pitt Meadows draining into the Burrard Inlet. Looming nearby, standing tall behind the community, are the peaks of Eagle Mountain. Top attractions, adventures and activities most enjoyed in and around Port Moody, BC, Canada and the surrounding areas are hiking, mountain biking, cycling, swimming, scuba diving, boating, sailing, fishing, kayaking, golfing, birdwatching, mountain climbing, canoeing, horseback riding, picnicking and wilderness camping. A few of the more popular, some would say best, activity destinations located in and around Port Moody, British Columbia includes the Rocky Point Park, Buntzen Lake Recreation Area, Old Orchard Park, Belcarra Regional Park, Indian Arm Marine Provincial Park, White Pine Beach (Sasamat Lake), Golden Ears Provincial Park, Chines Park and Bert Flinn Park. What are the Accommodations, Services and Amenities in Port Moody, BC? Port Moody places to stay, services and amenities important to travelers include accommodations (hotels, motels, inns, bed and breakfasts (B&Bs), vacation homes, cottages), campgrounds, tours, guides, attractions, big box stores, nightclubs, restaurants, laundromat, coffee shops, wineries, breweries, spas, grocery stores, pubs, liquor store, banks, gas station, gift stores, and internet service. Best Port Moody, BC history, entertainment, culture and art venues includes the Port Moody Arts Centre, and the 1905, #9 Canadian Pacific Railway Station Museum. 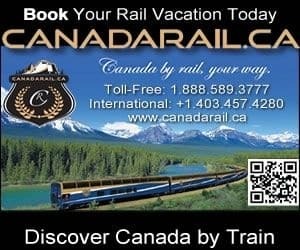 How Do I Get To Port Moody British Columbia? Transportation services getting to and from Port Moody, British Columbia include the main highway of course (Highway #7A), and then there is taxi, bus, car rental, marina, rail, and the (YVR) Vancouver International Airport (36 minute drive - 34 kms) and the BC Ferries Tsawwassen Terminal (43 minute drive - 45 kms) and Horseshoe Bay Terminal (34 minute drive - 44 kms). eh! Plan to Visit Port Moody BC today.